Or not. Whatever. I aincho mommah. I recently gave up on the New52. The titles I used to pull started out strong, but they’ve just gotten so bleh. I tried to stick with Wonder Woman, but I could only justify buying it solely for Cliff Chiang’s art for so long. On to awesome non-superhero comics I absolutely love and I think you should be reading so I have more people to talk to them about. I will try not to overuse the words, “love”, “awesome”, “amazing”, etc, because we’ve pretty much already established that. 1. 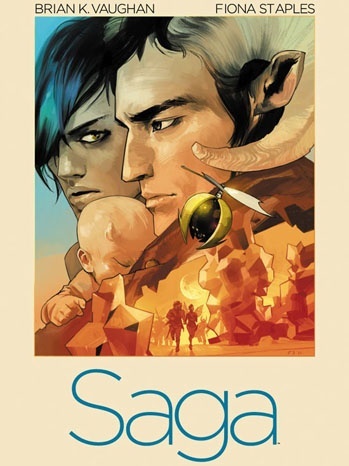 Saga – Star-crossed lovers. IN SPACE. If you didn’t read, “IN SPACE” the same way the narrator does in the Muppet Show’s Pigs in Space, then you’re no fun. 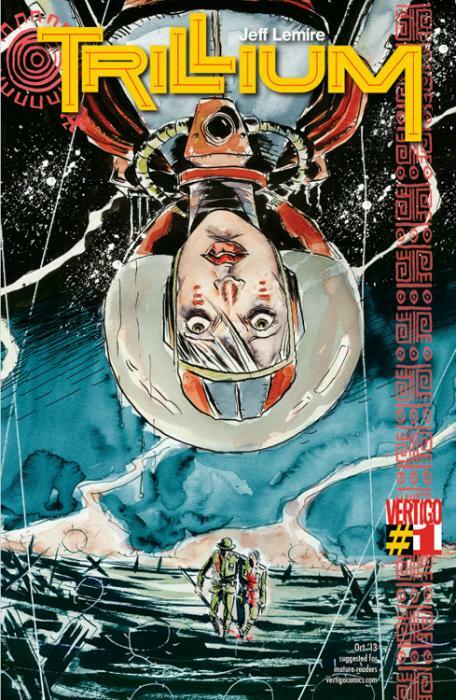 Alana and Marko, who come from two warring planets, and their daughter Hazel, who the whole universe wants to off, are trying to stay alive, travelling through the galaxy, hiding from bounty hunters and TV-headed royalty. (That was a really long sentence.) It’s written by Brian K. Vaughan, who also wrote one of my favourite titles of all time, “Y the Last Man.” It’s got magic and science, it’s witty, the characters multi-dimensional and well fleshed out and almost impossible to dislike. And the art! Fiona Staples rocks. Lee Archer, a cetologist who specialises in the vocalisation of marine mammals, is approached by Homeland Security for help in understanding an underwater threat. She and a *merry band* of specialists are brought to a *super secret* base deep off the coast of Alaska to study and investigate. AND CREEPY MERMAIDS! UNDERWATER SUPER SECRET LABS! COME ON! 3. Trillium – Love, Botany, and Time Travel. IN SPACE. Just kidding. Well, 50% of it so far is in space. IN SPAAAAACE! Nika Temsmith is in search of the Trillium flower, which is needed for a vaccine to the epidemic that has all but wiped out the human race. William Pike is a World War 1 veteran who has found that going on expeditions to find lost Incan temples in Peru helps him cope with his PTSD. 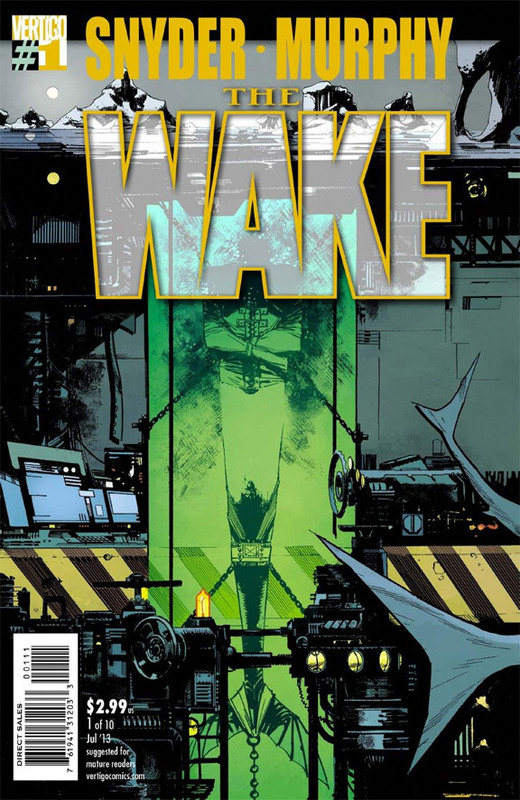 The first issue ends with two of them meeting. Of course, Nika’s a botanist on an outer rim space colony in the year 3797, and William is in 1921. Part of what makes this so much fun to read are the parts where you need to flip the comic around. It adds to the storytelling, as well as adding a sense of distance between the two time periods and planets/space station/colonies. EVERYTHING!!!! Nako hindi pa ako nakakabili ng Trillium, and #4 ng The Wake 😦 Nakakahabol pa ako! Another comic everyone should be reading is American Vampire. Susmaryosep dat comic. Ang exciting ng #4! I’ve read a few issues of American Vampire, but I haven’t been able to really follow it.